As I mentioned on my About Me page, I compete on 24 hour mountain bike races with my husband Roy under the team name of Dark Star MTB (with a combined team age of 102). Over the last few years we have always tried to do 1 overseas race each year. 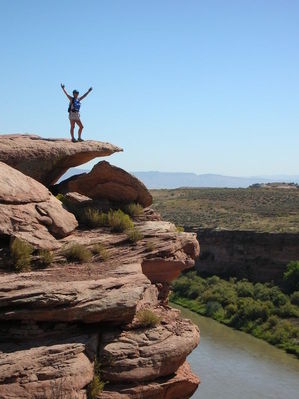 The 18 hour of Fruita has always been on the 'race bucket list' and, thanks to earning a free flight with British Airways, we will fly out to Denver en-route to Fruita this coming weekend. The plan is to stay for a couple of nights in Boulder, which is close enough to Denver should there be a problem with the arrival of the bikes. 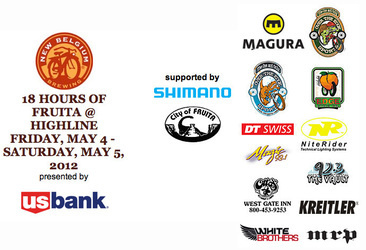 This will also give us the opportunity to ride some of the local trails and also to enjoy the local micro brewed beers. On monday we will be heading across on the infamous I-70 to Fruita for pre-race camping at Highline Lake State Park. This also happens to be the venue for the race so I can envisage a few laps of the course to be completed over the next few days. 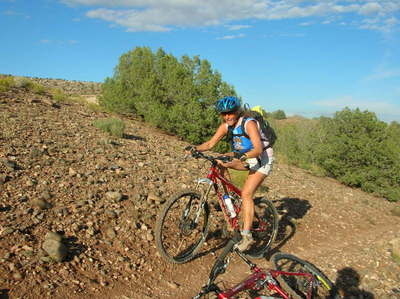 Just up the I-70 is one end of the Kokopelli trail system - a series of loops that are guaranteed to put a smile on any moutain bikers face. On our previous visit to the area (with a lot less riding experience), I broke a rib during a truly spectacular and sudden dismount from my bike. We had hired bikes on that occasion and unfortunately the brakes are mounted opposite to UK spec bikes. I came to a sudden stop in a rock crevice and yanked on what I thought was the rear brake. Roy said that he knew it had hurt as I only wimpered as I hit the deck! I'm normally a little more vocal if my body isn't broken that much. There are also other trails to ride around Fruita and Grand Junction, so I will have to update what we end up riding in Part 2. 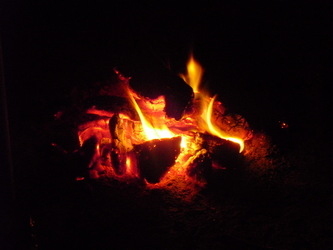 Of one thing I am certain, we will be enjoying the Colorado beers during our evening chill-out sessions. The race starts at midnight on Friday and runs through to 6pm on Saturday. All laps must be completed by that time to allow the party to begin. I am certain that I have packed enough Maxifuel Viper for the whole entry. After a good night's sleep (hopefully), we will head off to Durango - another favourite travel destination - for 2 nights of R&R and oh yes, lots of local beer. Carver's Brewing is where Roy secretly concocted a plan for my 40th birthday. We turned up for dinner and to my great surprise, one of the beers had been renamed in honour of my 40th. 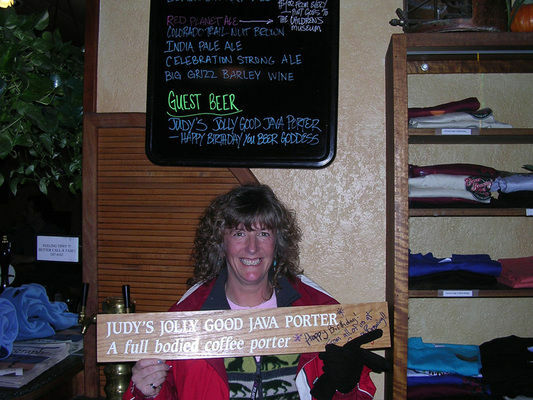 Lots of 'Judy's Jolly Good Java Porter' was consumed that night and I was given the wooden plank as a momento of the occasion. Thanks Roy and head brewer Eric. Other breweries are available in Durango: SKA and Steamworks. We might even do the 'Yoga & a Pint for $10' on the monday night. When we leave Durango, the plan is to drive through Monument Valley en-route to Cottonwood (near Sedona) and the second campsite of the trip, the oddly named Dead Horse Ranch State Park. Our plan is to ride the 17 mile trail to Red Rock crossing in Sedona and possibly visit Oak Creek Brewing who brew one of my most favourite wheat beers. No too much of it though as we will have the 17+ mile cycle back. And finally we head down into Scottdale in Pheonix for a final couple of nights chilling and riding. As I write this, the temperatures are currently into the low 100's. 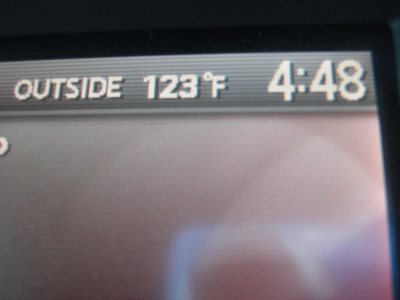 I am hoping that it cools down a bit as when we were there last year, the temperature gauge in the car hit 123°F/50°C!!! That was just WAY too hot. After 2 nights in Scottsdale, we head home to face the 'real world' and to weigh up our next race option. You have to remember, at our ages, the body takes time to recover!